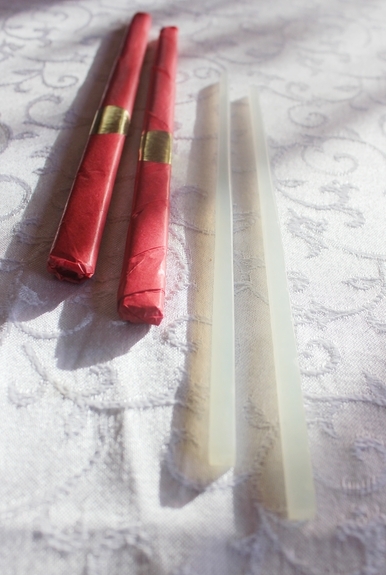 This finely-rendered pair of chopsticks is made of solid, natural translucent jade. 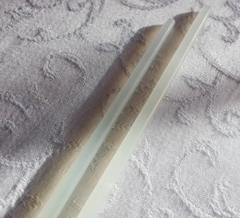 Elegant, simple, practical, using an ancient design. Help up to the light, they glow; in your hand, they are finely balanced, and it's easy to pick up the finest detail of your meal. Available with red gift-wrap as shown, no extra charge.